Reiza General Update - Fresh News All Around! Discussion in 'Announcements' started by Renato Simioni, Sep 11, 2018.
follow the link below and enter your indiegogo email and follow the process. It will upgrade your account here with access to Reiza 51. What made you think that if you bought a game on Steam that it would entitle you to DLC from a completely different game ? 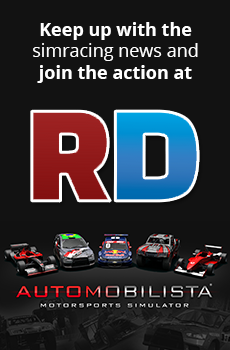 "This Season Pass grants access to all Automobilista DLCs (released & upcoming) as well as Automobilista Beta." Did you buy rF2 season pass with access to all its DLC? No, because it doesn't have one. And if you are concerned about paying for the same content twice, you probably don't want the same content twice...?!?!? But if you were interested in Automobilista and Reiza beyond getting this freebie for rF2 you probably just heard about, you could have participated in the beta and would then have likely heard about the sign-up for the rF2 content (that expired at the end of last month). The rF2 pack has been in development for almost half a year (people complaining all over the place about it being late). Sorry you missed out, but it sounds like you don't want the same content twice regardless, so should save your money for the other rF2 DLCs that are not repeats of Automobilista. So Kunos sold us the Lamborghini GT3, Ferrari, Audi, Merc and Nurberg, Monza and others in AC do you expect that same content free in ACC? The Reiza content in rF2 may be the same cars and tracks as AMS but they sure don't feel the same in rF2! It's like totally new toys and at a surprisingly reasonable price. If you don't want to support developers don't use that excuse, just move on and hope Reiza have enough funds and drive to continue to develop new products for a community that can seem mighty ungrateful at times! I'm not sure how it is right now but there was a time when Reiza was granting access to Reiza51 forum to people who got AMS + season pass bundle on Steam. Anyone who had access to Reiza51 forum was eligible to receive rF2 Reiza bundle for free. Unfortunately people who missed the deadline to request the rF2 Reiza bundle are out of luck. "So we tried converting one track to UE4 and it looked beautiful. We can build for PC, Linux, Mac, PS4, Xbox. Reworking UI was peace of cake but our trademark physics were completely broken. We managed to rebuild one car and driving was O.K. but nothing near what we already have in Automobilista and it meant completely rebuilding whole AMS assets. And there are more pipeline problems besides that It looked like all other games. Unity 3D looked much easier but our networking and physics code just didn't worked. Yup. We are at home. Known tools and workflow. Our work really shine. This DLC, rFactor 2 engine really pushed us but it will cost additional licensing and engine in nowhere near finished still missing important pieces. And it took us much more time than we thought to convert and update AMS content. We are experienced more than ever but we already pushed AMS beyond our hopes and we are tight on manpower. And there is one new partner with interesting proposal. 2020 will come fast and we even don't have a roadmap! We are announcing to the World that we choose..."
"After hard work and many crunch hours we can finally announce Reiza Advanced Motorsport. Build on the totally new engine, it will bring to the SimRacing glory of Brasil more then Pele, Zico and Socrates brought to the football. Early access open tonight to Beta testers. I'm not usually a gambling man but I'm going all in on a release of AMS2 tonight. So... Anyone got any real news? Soooo the last update was aloooong time ago. What is the new Sim going to be? AMS2?? ?